As a proud and official member of the BeyHive, I realize I may be a bit zealous when it comes to things related to Beyoncè. Hence, my interest in writing a column dedicated to Beyoncè’s most recent work. “Lemonade,” a visual album, premiered April 23, 2016 on HBO and captivated an audience that transcends physical and imaginary boundaries. 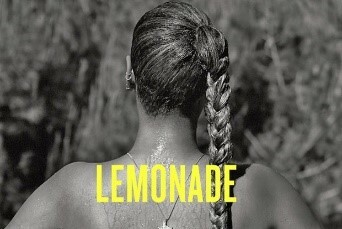 For those who are unfamiliar, “Lemonade” represents a journey that begins in pain and despair, crosses through perseverance and ends in joy and empowerment. The album’s journey follows the steps: intuition, denial, anger, apathy, emptiness, accountability, reformation, forgiveness, resurrection, hope and redemption. While the beats and lyrics are dope (really good), the juxtaposition and intermingling of the visual art, song lyrics and Warsan Shire’s poetry elevates the work from merely a music album to a celebration of people of color. Specifically, their history, struggle, culture and places of origin all while offering political commentary for examination and discussion. It is worth noting that Beyoncè has found her way into academia through courses offered at Rutgers University, University of Waterloo and University of Texas at Austin. Inspired by these courses and “Lemonade” as a body of work worthy of exploration, I write this column. This piece represents the first part of a two-part series. 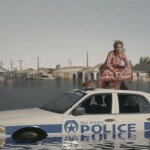 Part one is a critical evaluation of “Lemonade” and its connections to public administration and policy. 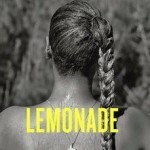 Part two will demonstrate how “Lemonade” can be used in the classroom as a useful pedagogical tool in training current and future administrators. Public administration and policy has and continues to play a role in distributing lemons to those who experience the criminal legal system. Within this system, lemons largely equate to the prison industrial complex. Public organizations, administrators, elected officials and private corporations have worked to create, implement and continue a system that disproportionately targets people of color, leading to drastic inequities. While a black man born in 2001 has a 32 percent chance of spending time in prison and a Hispanic male has a 17 percent chance, their white male counterpart has a 6 percent chance. How can those most impacted by these disparities make lemonade? Should/do public organizations provide water and sugar? What does public administration offer to recipients of state sanctioned lemons? While many with marginalized identities already know, it is worth explicitly stating: oftentimes the act of making lemonade occurs simply by living life, unapologetically. Included within “Lemonade” is a scene where a young man describes the impact meeting President Barack Obama has had on his life. He shares that President Obama gives him hope, “he’s just like me, he’s from Chi-raq” (a colloquial term used to reference Chicago). As a New Orleans native, this young man sees parallels between his and President Obama’s origins from inner city communities. Inspiration, for this young man, comes by seeing representation at the highest position in U.S. government and serves as reassurance that anything is attainable. Before his encounter with President Obama, this young man did not see himself “going anywhere” but now has inspiration to be what he chooses. The choice to include a clip of a young man from New Orleans – a city still recovering from failed levies during Hurricane Katrina and dealing with a police department that engages in discriminatory policing – is a deliberate one. 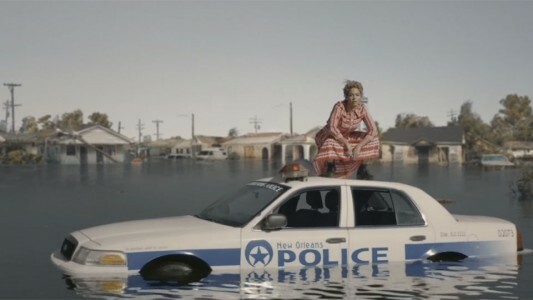 In this scene, Beyoncè offers a picture of the young black man rarely offered on mainstream television. This young man was not the subject of a news story. He was shown as a father, a family man. He is shown living his life, unapologetically. In this case, this image and story works to humanize a social group that is regularly dehumanized and demonized by public administrators and punished by public policy. Making lemonade is the epitome of the “American Dream,” where advancement is linked to hard work and effort despite the environment in which one finds themselves. The making of lemonade also represents the ethic of marginalized communities. Hattie, a 90 year-old woman, has witnessed many manifestations of U.S. society. From the lynching of people of color, legal segregation and Jim Crow to seeing her Black grandson become an entrepreneur with a net worth of $610 million. Hattie, according to her birthday speech, made lemonade with the lemons life, policy and administration gave her. It is for these reasons why discussions and training on such topics are so critical in public administration and for administrators. “Lemonade” offers a way to see and respect the plight of people, even if you cannot relate or adequately understand. Ultimately, “Lemonade” forces viewers to see the faces of those most impacted by the lemons offered by public administration and policy. Author: Tia Sherèe Gaynor is an assistant professor in the department of public and nonprofit administration in the school of management at Marist College. Dr. Gaynor’s research seeks to examine issues of social justice and equity within a U.S. and global context. Her scholarship can be categorized in three research streams: resident participation and engagement; public and social policy analysis and implementation and pedagogy, learning and instruction.